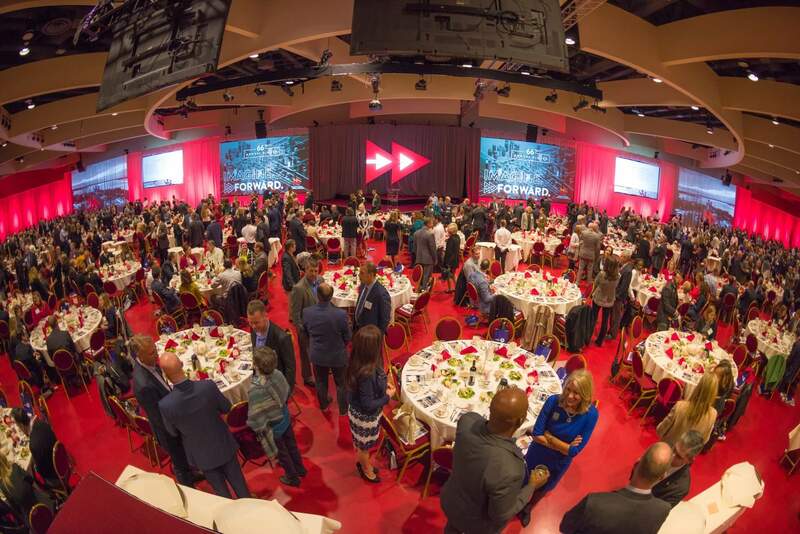 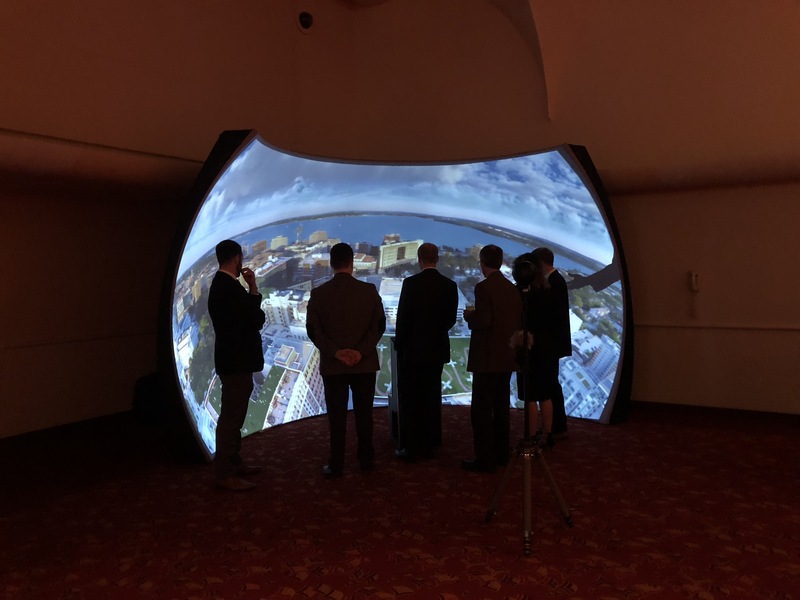 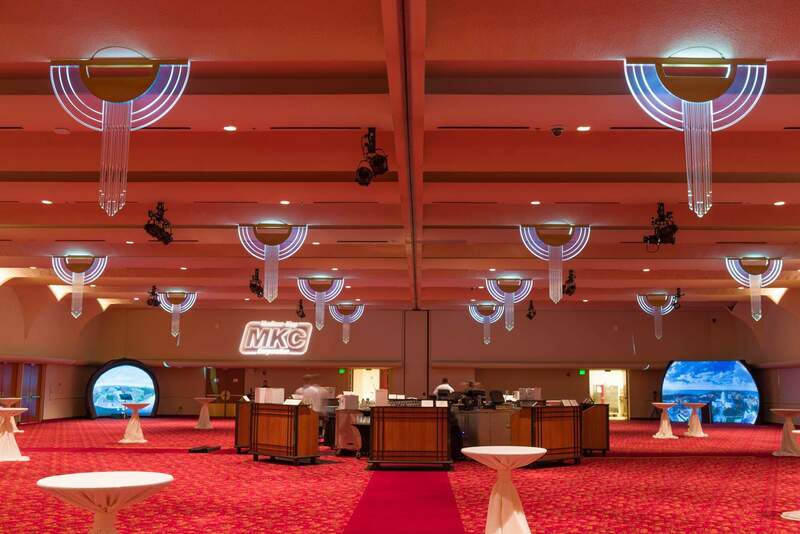 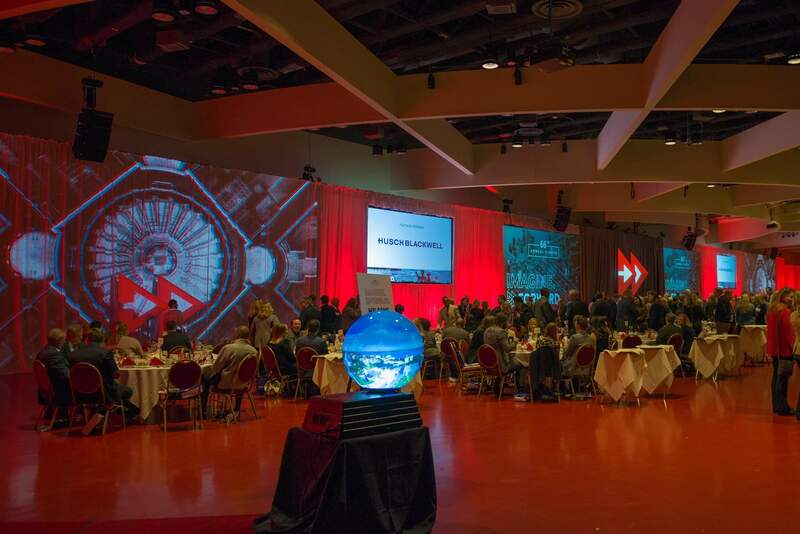 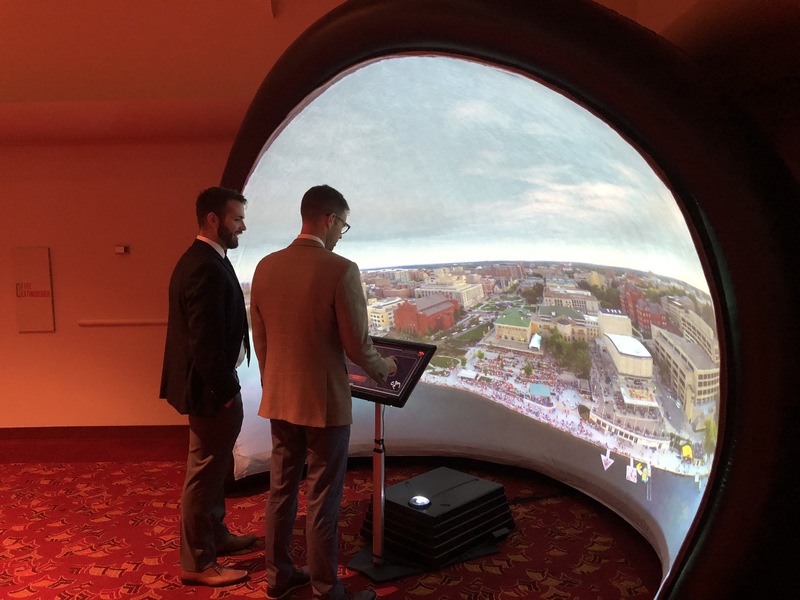 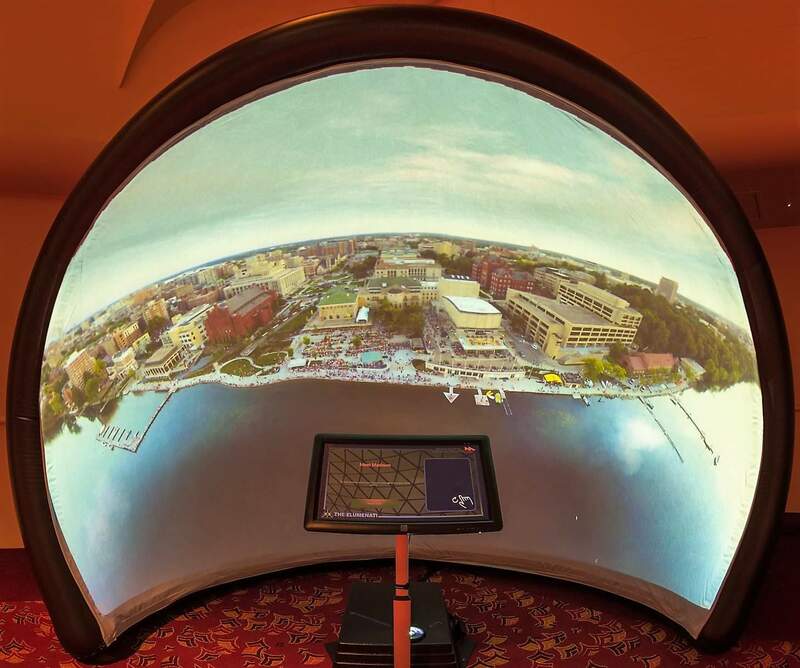 Aspect Multimedia and The Elumenati were invited to showcase immersive VR content with five spatial augmented reality projection systems at the Greater Madison Chamber of Commerce’s Annual Dinner at the Monona Terrace Community & Convention Center in Madison, WI. 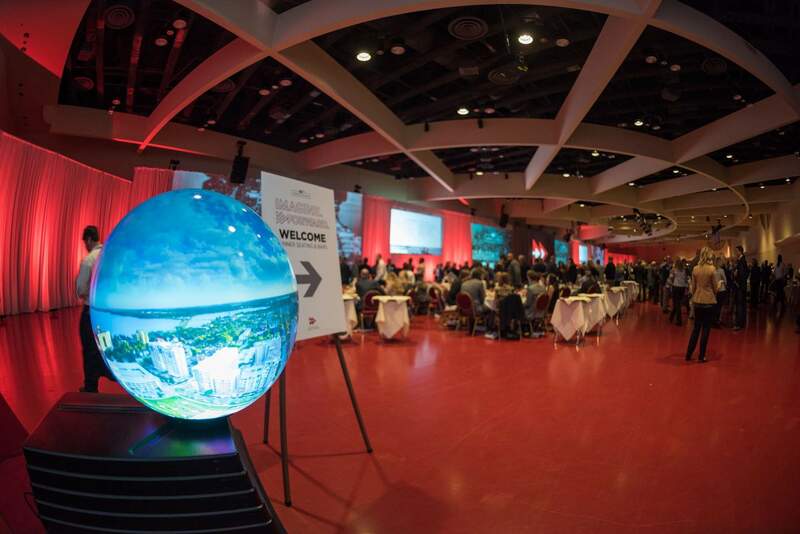 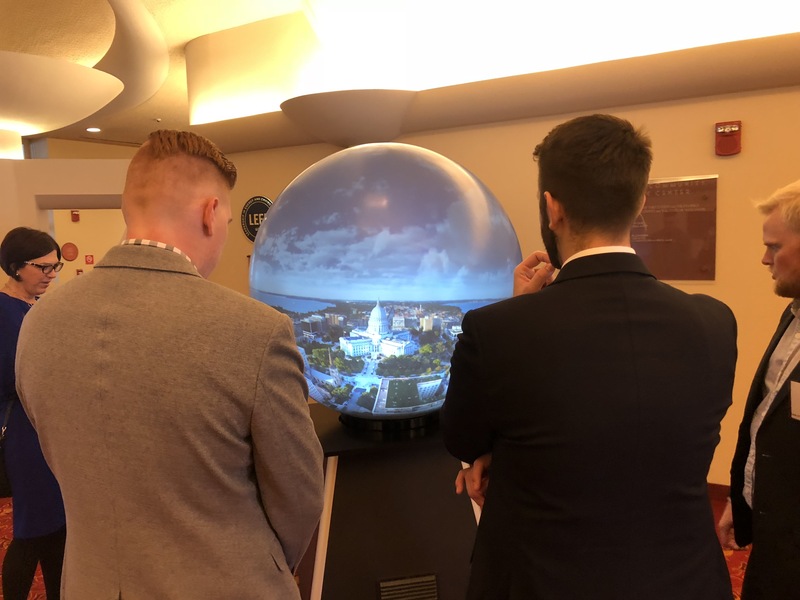 Guests explored 360° video on a GeoDome Panorama, a GeoDome Portal, two GeoDome Globes – 4’ and 2’ in diameter. 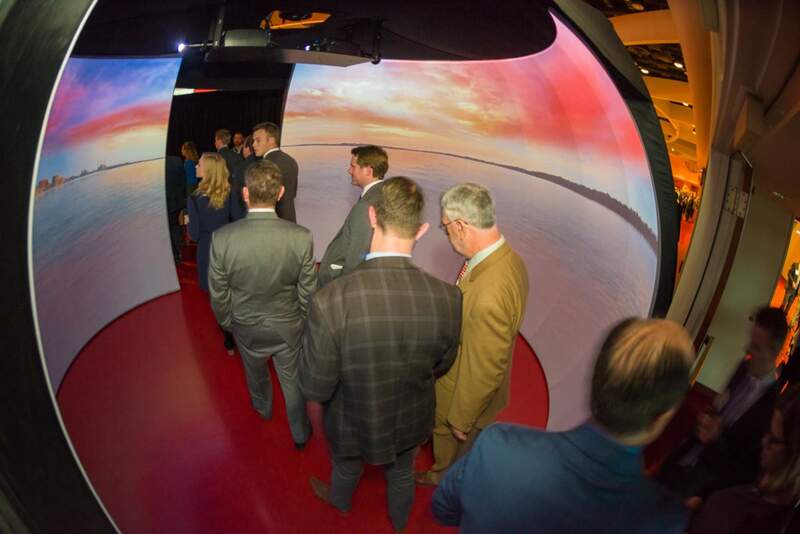 Finally, they entered the main festivities through our 360° Cyclorama – with over 1,000 people in 45 minutes, it was truly a social VR experience. 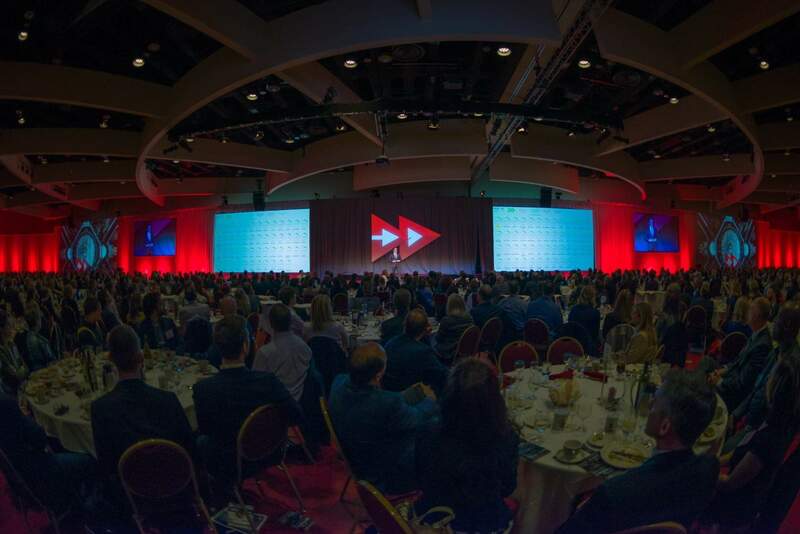 The Chamber’s 66th Annual Dinner brought together more than 1,000 business and community leaders for an engaging program featuring guest speaker Beth Comstock. 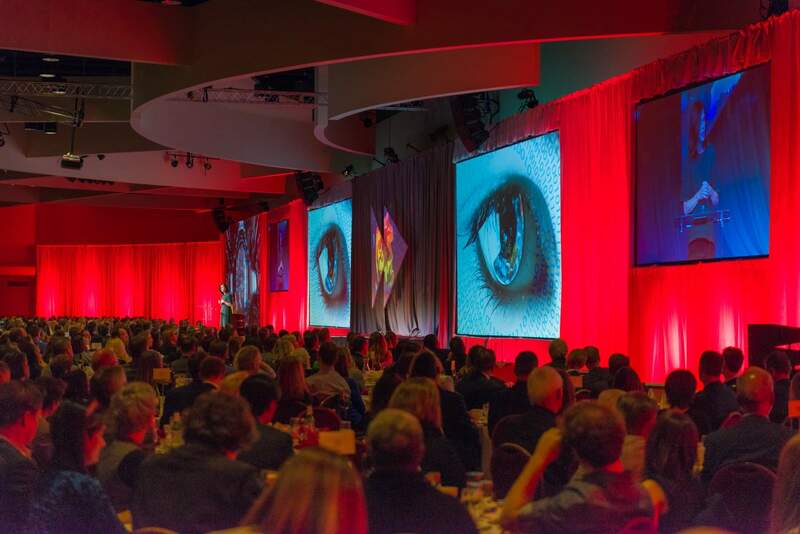 Beth Comstock drove innovation for one of the world’s largest companies, is a top-10 LinkedIn influencer and has twice been named one of Forbes’ most powerful women in the world. 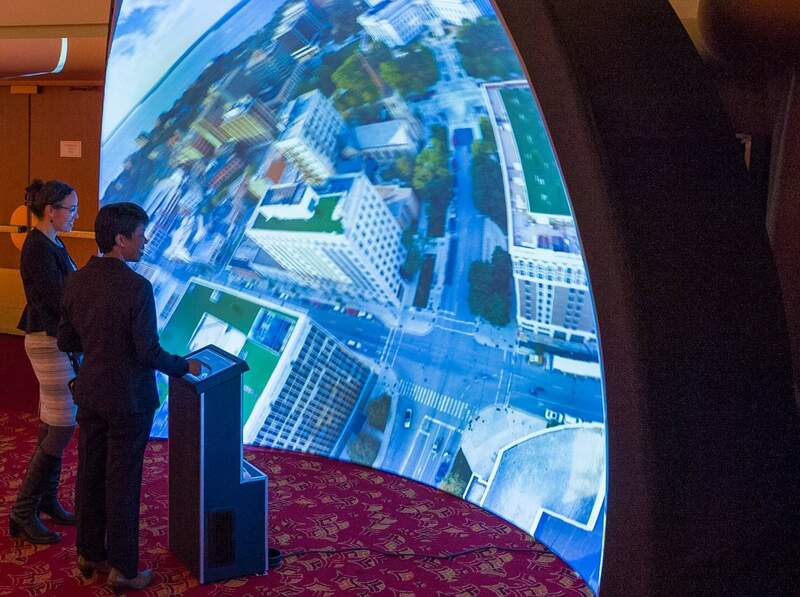 For more information on our immersive projections systems, please contact Aspect Multimedia. 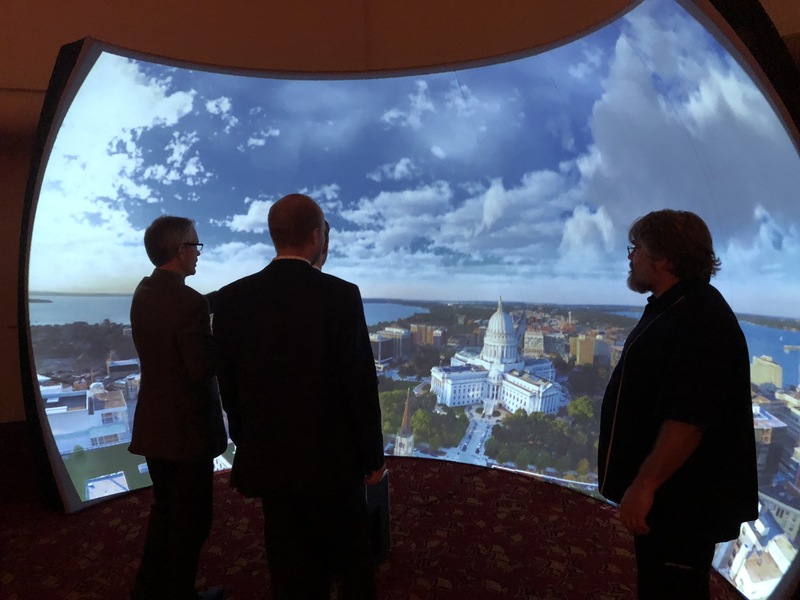 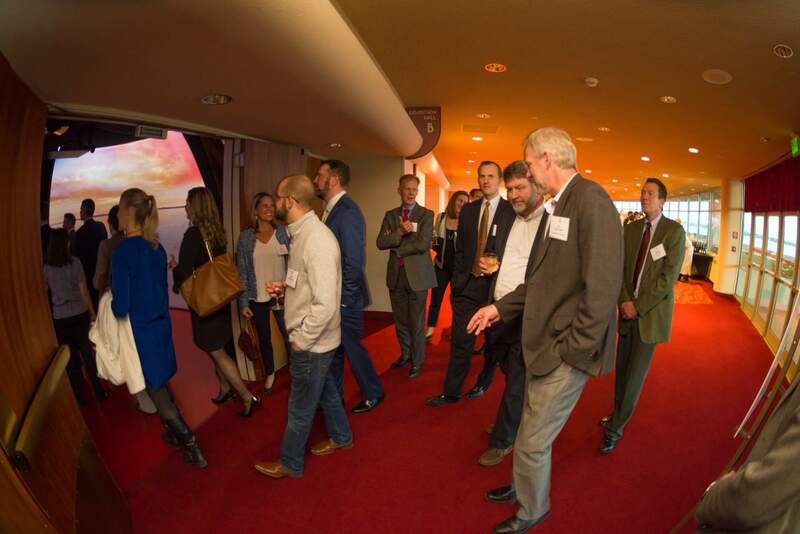 Aspect Multimedia and The Elumenati were invited to showcase immersive VR content with five spatial augmented reality projection systems at the Greater Madison Chamber of Commerce’s Annual Dinner in Madison, WI. 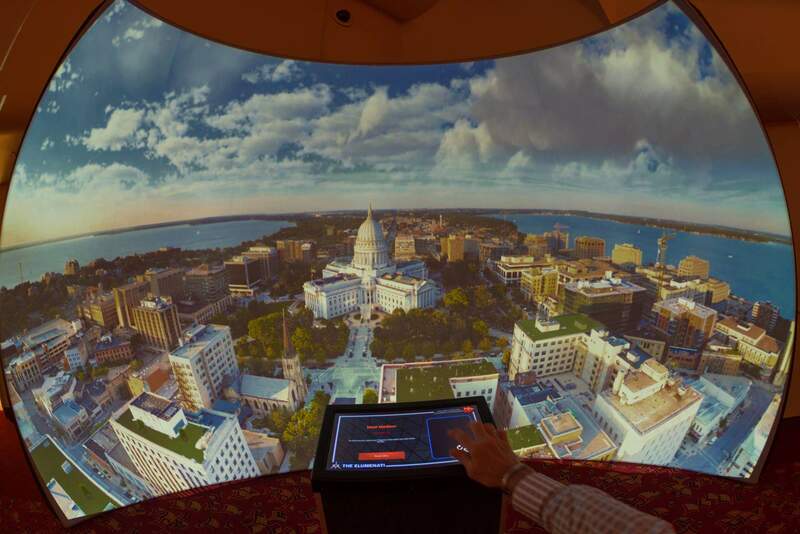 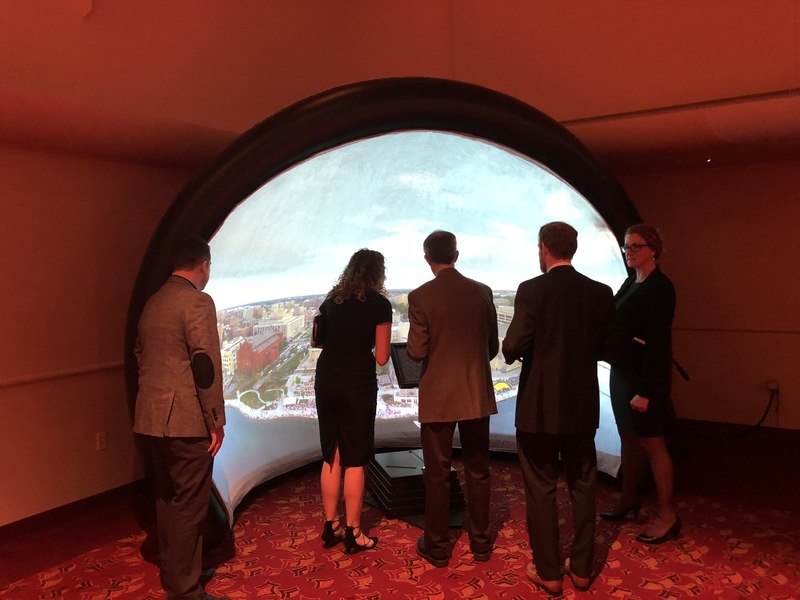 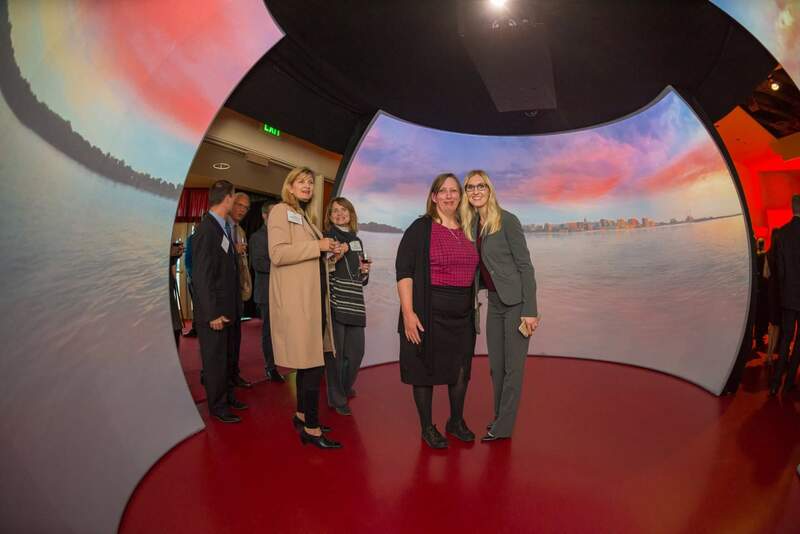 Guests explored 360° video on a GeoDome Panorama, a GeoDome Portal, two GeoDome Globes – 4’ and 2’ in diameter. 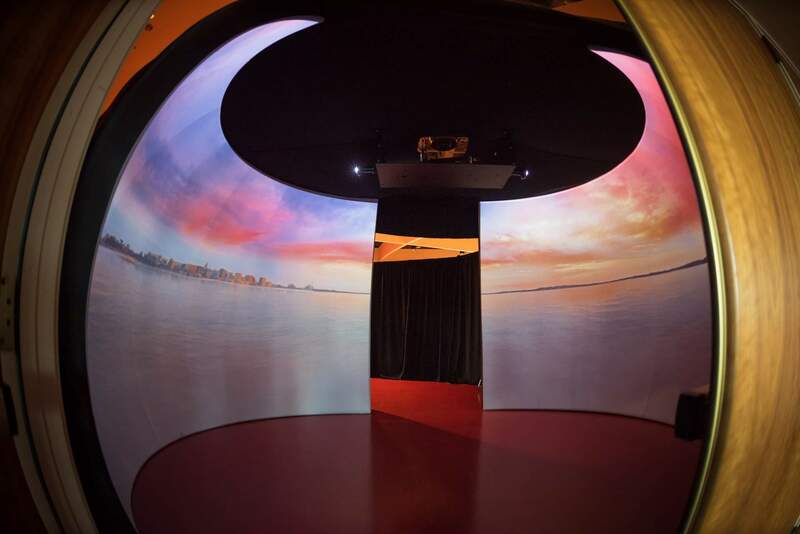 Finally, they entered the main festivities through our 360° Cyclorama – with over 1,000 people in 45 minutes, it was truly a social VR experience.For more information on our immersive projections systems, please contact Aspect Multimedia.